It’s nothing but boring football being played at Stamford Bridge these days as the league leaders sit a boring ten points clear at the top of the league scoring the second highest amount of boring goals in the league, two MORE than Arsenal. 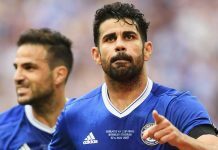 Add to that boringness, it has been announced that Chelsea have had 6 of their boring players feature in the starting 11 PFA team of the year! All the signs of a hugely boring team right? The professional football players who make a stupid amount of money playing football and know the game inside out must be completely deluded to pick them right? Well as you can see, my sarcasm is my lowest form of wit, but I’m afraid that sarcasm rather than anger or frustration is what best allows me to deal with all these ‘Chelsea are playing boring football’ quotes from rival fans, pundits and the media. Eden Hazard has just been named the players player of the season and has turned in to the Premier League’s most exciting and creative player. Add to that John Terry, Branislav Ivanovic, Nemanja Matic and Diego Costa and you have HALF of the team of the year. But even with all the above facts, which are facts and cannot be debated, we STILL receive negative criticism for our style of play. Let’s break it down for you, if you are ten points clear at the top of the table with only five games left to play, you have NOTHING to chase, nothing to go all out for. Why would you potentially jeopardise that comfortable position by going to The Emirates and attacking? Or welcoming Manchester United to Stamford Bridge and going all out to try and score as many goals as possible? That wouldn’t be sensible against two sides who are more than capable of tearing an unorganised attacking team apart on the counter. Why would we over commit players, waste our energy trying to play keep ball when we have every confidence in our own counter attacking ability? We too are super dangerous when under attack on the counter. Breaking an organised team down can be near impossible sometimes if you lack the imagination and quality to do so. It can be tiring and frustrating, Chelsea have been there many times themselves this season. So why in this part of the season when we’re so comfortable would we be doing anything else but being disciplined, organised, solid and doing a job? We beat Manchester United who came to Chelsea in form and we got a deserved draw and more shots on target at The Emirates against another team who were in impeccable form and were free scoring before they met Chelsea. The Blues may well have won the game after two clear penalty shouts and quite frankly an easy chance missed by Ramires. And it was supposed to be Arsenal who needed to win so badly if they were to put any pressure on us at all. Jose Mourinho is intelligent, he knows how to set up tactically to accommodate the team we are playing against in order to get that result needed. If Chelsea were the team in second place right now, do you think we would have seen the same defensive unit that they played? Absolutely not, they’d have attempted to boss the game, keep possession and look to score more goals than Arsenal. It’s not boring, it’s intelligent, after all football is a results driven business and points win titles, not entertainment. I’ve personally witnessed many exciting games, free flowing football and attacking prowess from Chelsea this season that has been far from boring. Take away your top goalscorer and his understudy through injury, you have to then rethink your tactics and get the best that you can from the game. Anyone who really knows football or has some knowledge of the game will know that this is not boring football, this is genius football. Anyone who thinks Chelsea are boring right now, simply does not know the game, is jealous or simply just deluded. Next articleTally – HO for the Fox hunt!